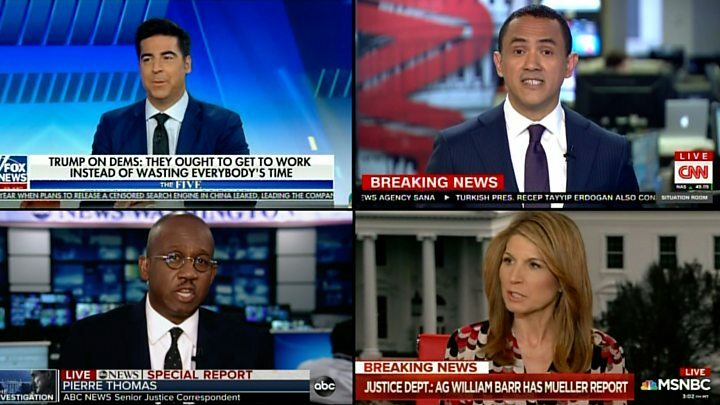 US congressional leaders have been given conclusions from Special Counsel Robert Mueller's report into alleged collusion between the Trump campaign and Russia. 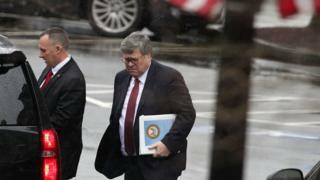 The long-awaited report was submitted on Friday to Attorney General William Barr, who pored over the document before handing a summary to Congress. A justice department official has said it does not call for new charges. It is not yet known how much of the report - if any - will be made available to the public. It is not clear how much information is being shared with Congress. The president has spent the weekend at his Florida resort, Mar-a-Lago. He has been uncharacteristically silent on social media - posting no remarks on the report. The president has in the past repeatedly lashed out at the special counsel investigation, branding it a "witch hunt".